New Delhi, 28th January 2019: Indian Institute of Technology Mandi Researchers are making rapid strides in finding a drug to treat the Zika virus (ZIKV) that has affected more than a million people across the world. A team led by Dr. Rajanish Giri, Assistant Professor of Biotechnology, IIT Mandi, is working on this subject. Following an earlier finding by Prof. Indira Mysorekar from Washington University at St. Louis, USA, that hydroxychloroquine (HCQ), a drug commonly prescribed for treating malaria, reduces ZIKV transmission from mother to foetus, Prof. Giri’s lab has identified the target viral protein on which HCQ acts. Prof. Giri has collaborated with Prof. Mysorekar and Prof. Sanjeev Kumar Singh from Alagappa University, Tamil Nadu, on this work and their findings have recently been published in ACS Omega, an Open Access journal of the American Chemical Society. 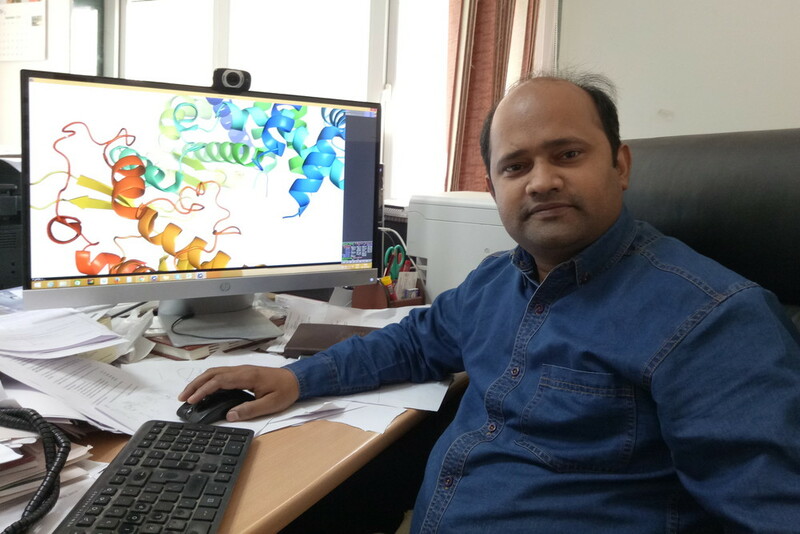 “While Prof. Mysorekar’s group originally selected HCQ for its ability to inhibit autophagy, its mechanism of action against ZIKV target protein was not known”, explains Prof. Giri, adding, “Our work has identified a viral protein on which HCQ acts”. This finding is important as development of drugs against ZIKV hinges on understanding the interactions between the potential drug and the target components of the virus.